Today's installment in my Superhero showcase features none other than the Dark Knight! Batman was the second superhero I added to my collection; this wedding garter has grown in popularity recently, and has been purchased by brides all over the world! 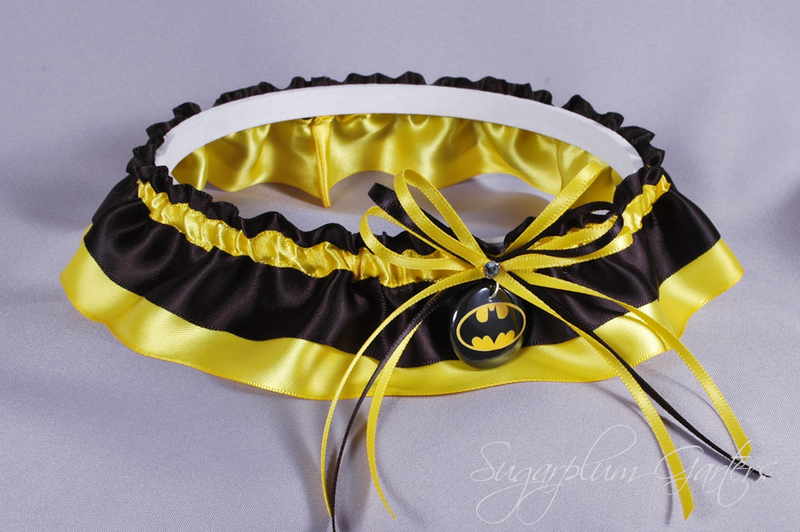 If you've purchased a Batman garter from Sugarplum Garters, I would love to see pictures! 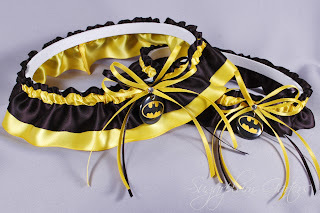 The Batman wedding garter set is available for purchase on my website here; the keepsake garter can also be purchased separately. Don't miss the next installment in my Superhero showcase tomorrow!